Primary pupils are becoming teachers in classrooms across Scotland to develop their skills for learning, life and work. More than 22 schools in Angus, Aberdeenshire, Moray and Highland are taking part in the STEM Champs programme run by the Raising Aspirations in Science Education (RAiSE) programme and Aberdeen Science Centre. Children in Primary 5 to 7 are devising STEM (science, technology, engineering and maths) learning experiences for pre-school and Primary 1 and 2 pupils in a bid to secure STEM Champion awards. In total, more than 750 pupils are taking part in the STEM Champs pilot. If successful, there are plans to introduce the programme nationwide. The lessons can be bespoke depending on the in-classroom learning or from a prepared STEM Champs resource. The older pupils receive training from Aberdeen Science Centre and work towards Discovery or Challenger awards. Each school must deliver at least four STEM Champs lessons. There was a competition held to design a logo for the programme which was won by a pupil from Greenwards Primary School in Elgin. They were presented with STEM-themed prizes including a family pass for Aberdeen Science Centre and a STEM kit. 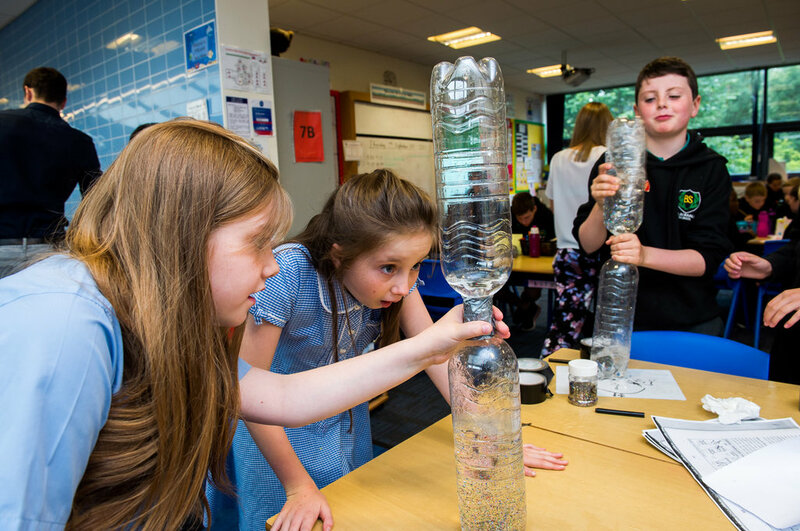 STEM Champs was developed from the Science Champs programme which was created by Aberdeen City Council and delivered in partnership with Aberdeen Science Centre since 2012. RAiSE is active in local authorities throughout Scotland. Primary Science Development Officers deliver teacher training, organise events, develop networks, align STEM with other priorities and signpost opportunities across their region to improve the confidence and competence of primary teachers in delivering STEM in their classrooms to ensure a higher quality of STEM learning, engagement and experiences for primary children.